Heading back to school can be a stressful and emotional time for children and their parents. However, we have complied a list of the top five supplies your children need in order to succeed in classes when they head back for the year. The lists do vary slightly depending on the age range and grade your kid will be entering so be sure to note the differences. It is a very emotional time when your little kiddo is entering Kindergarten. Parents are mixed with excitement and sadness that the time has finally come but regardless of emotions; your child must be prepared. The top five necessities for kids entering kindergarten include; Crayola Washable Markers, a pencil box, crayons, colored pencils, and a No. 2 pencil. Children are just starting out their school journey so messiness and mistakes are sure to occur throughout their day. Therefore, washable markers are crucial to have. During the next step in your child's education, they will need almost the same supplies as kindergarten. They will still need a pencil box, crayons, colored pencils, and washable markers. However, it is also recommended that they have a backpack suited for their age. During these grades they will be doing more work in class and needing to bring home some work and reading assignments. Moving on up to the next level in school to grade Fourth and Fifth your children will need a few different school supplies than previous years. They will still need a pencil pouch and No. 2 pencils; but, they will also need a pencil sharpener, ballpoint pens, and a lunch bag if they will be packing lunches. At this age children are beginning to do even more schoolwork and need the appropriate supplies in order to complete assignments. Entering into a new school building and new grade can be very intimidating. As a parent it is crucial to provide all the supplies to your children that they need to succeed. Aside from the typical pencils, ballpoint pens, and pencil holder; your child will also need Mead spiral notebooks and highlighters to take proper notes and study. 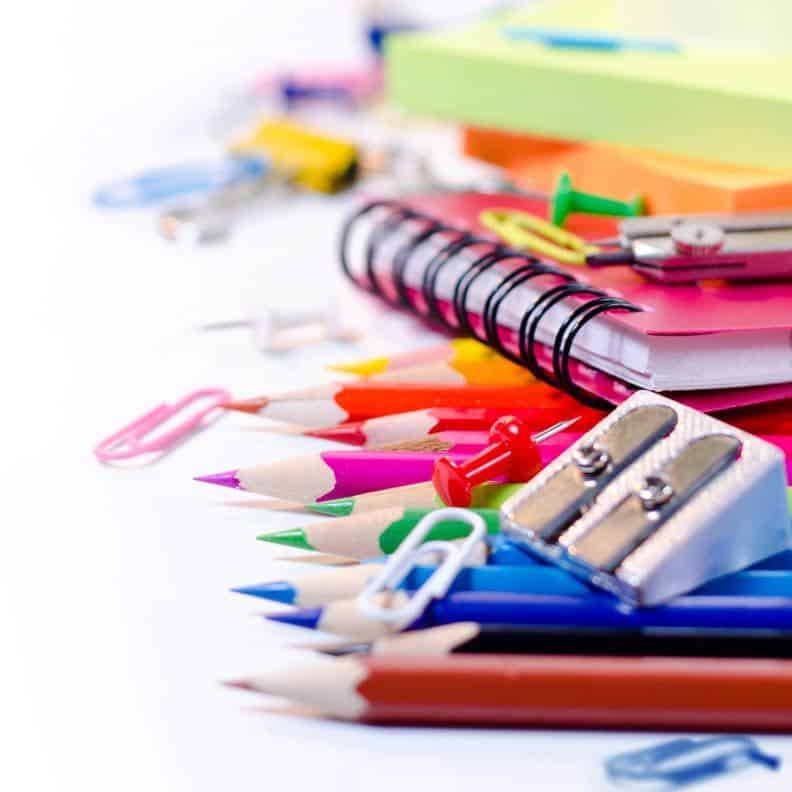 There are a number of other school supplies that children may need at this age so as parents be sure to check with your local school for a complete list.